Will smart meters work if there is a wall between them? Hello. I started to complete the smart meter application form but got confused by some of the phraseology (is your meter "clear" for instance). We live in the ground floor flat of a converted building of two flats. Our electricity meter is on the ground floor, by the front door, while our gas meter is on the same level but is on the external wall of the building, in the driveway. Clearly there is a wall or two between one meter and the other. Can we still have smart meters installed successfully? This is a tricky one, Buzz as it will depend on how thick the walls are and how far the meters are from each other. We can book in an appointment but if we’re unable to communicate with the smart meters, they’d revert to being a standard meters. We won't know if this will be the case until the installation has gone ahead though, so it's a bit of a gamble. Feel free to check the availability and book in for an appointment here: smart.ovoenergy.com/credit. I’ve also amended the title of your topic slightly so other users can find it a bit easier. I can tell you what works without any problems whatsoever in my house, maybe that may help. Both meters are outside in a meter box and they each are able to receive the cellmast signal to communicate back to OVO. I expect, but am not certain each of them needs to be able to get a mobile phone signal to work. 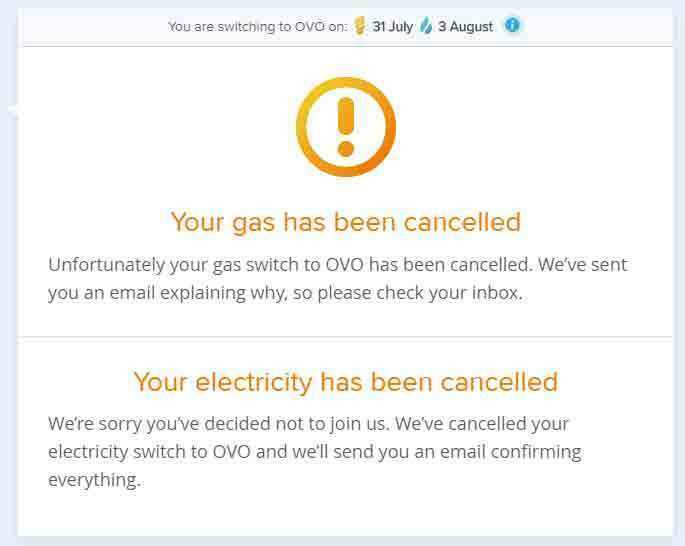 Unless you are located in a "Not-spot" (no signal) I would have thought it would all work ok.
Now I have gone smart I use the OVO website to check my usage....all very convenient. I have one of those little repeater usage meters in the house which I think may use Bluetooth. That works without problem anywhere in the house. Hello Lucy. Thanks. Apologies for the "strong" language but I really was at the end of my tether. Still it looks as if it's going to be sorted (fingers still crossed). I think it all arose initially because the flat we live in is part of a converted Victorian house and my sister, same surname, lives in the first floor flat, and there was some confusion about identity. I'll let you know how it pans out, but at the moment we have an engineer coming next Thursday to install smart meters. If this gets cancelled I will simply move to some monastery somewhere where they don't use fuel. 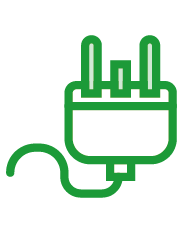 Smart meters use similar signals to mobile phones, so if your signal is poor it's very unlikely the meters would be able to communicate with us. Thick stone walls and meters in cellars often means the signal will be blocked, so unfortunately it doesn't sound like smart meters would be worthwhile for you. Sorry to see this, @buzzhunter. If you didn't cancel the switch to us, you’ll need to speak to your previous provider to find out what’s happened as it’s likely they’ll have objected to our switch requests. Keep us update with this. Not sure what the "gamble" is - if it doesn't work and they have to revert to the original meters, would I be charged something? Well, I went for it. I booked an installation. Great! Can't wait. And then I get an email to tall me the installation appointment has been cancelled! Ok. This will be our last ditch attempt to get OVO to do their $%^£$$^ job before we give up and go somewhere else. We were recommended to go to OVO because, ha ha, they are really reliable. I attempted to make another booking for Smart Meter installation, the previous one having been cancelled for no apparent reason, and lo and behold this attempt has also now been cancelled. I am guessing they are seeing the CANCELLED switch which CONTINUES TO SHOW ON OUR ACCOUNT DESPITE MY REQUESTS TO HAVE THESE "MESSAGES" REMOVED AS THEY ARE NOT CORRECT AND ARE PREVENTING THE INSTALLATIONS. We are totally despairing of OVO. I won't request any more Smart Meter installations until SOMEONE lets us know what is causing the cancellations. This is driving us to distraction. This is what shows on our account even though we are paying the bills. I assume this is what is stopping our installations. Hello, I am receiving emails urging me to sign up for a smart meter, but I can't find any info about how these actually work. What I am worried about is that we have our current very old meters (still using old fashioned fuses) in our old stone cellar beneath the house - how are these meant to communicate with any kind of wifi or mobile signal? We have trouble getting a signal in our kitchen which is also made out of stone. Can anyone tell me if a smart meter is likely to work in these conditions?